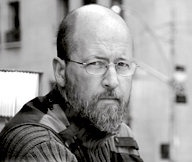 Here are a couple new images from the last month. 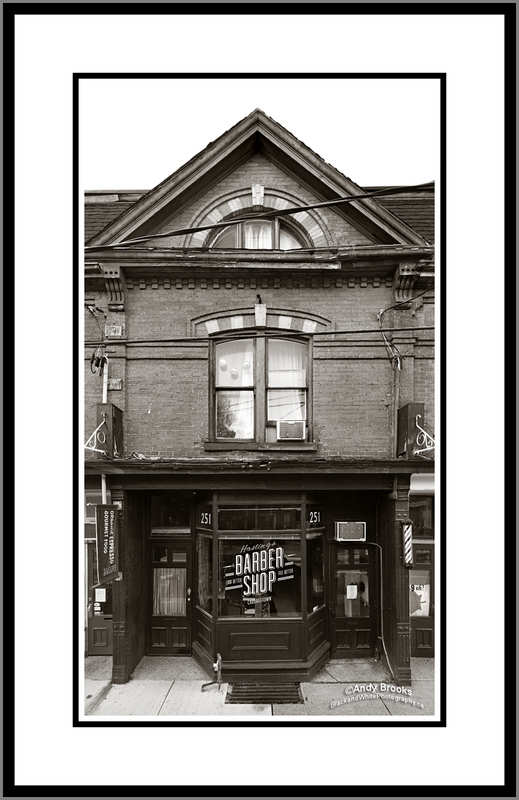 I have been working on storefronts here in Toronto for the last several months. Every once in a while I stumble upon a building I didn’t know existed. 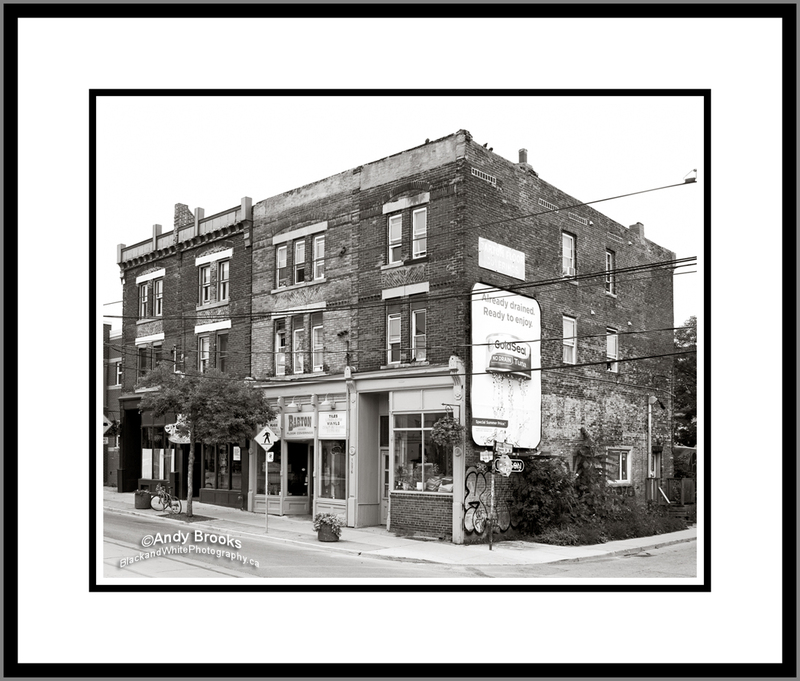 This was the case when one day in May 2015 I was walking up Ossington north of Queen and found the Levack Block building. Within a week I was back at the location with my platform truck, photographing this beautiful building. Please e-mail me the location of any great buildings you’ve seen in Toronto. 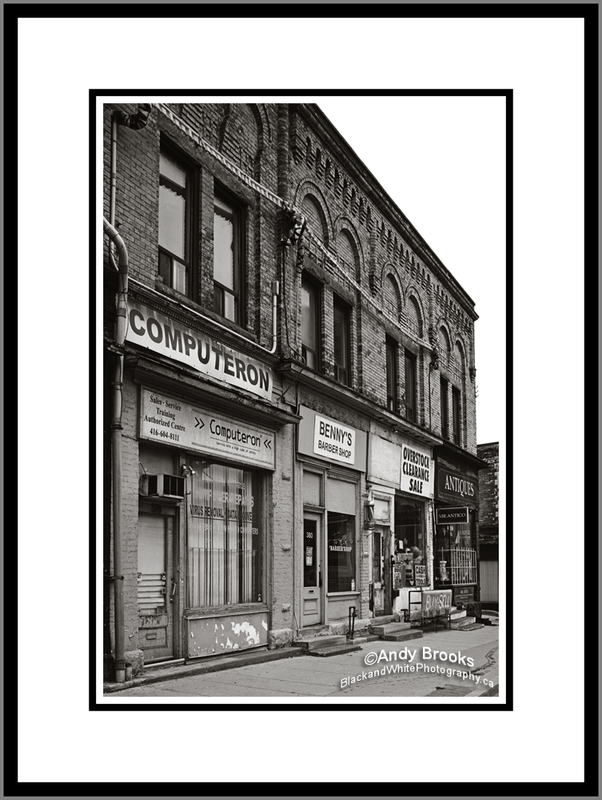 On my main site you can see more black and white photographs of Toronto storefronts and neighbourhoods. 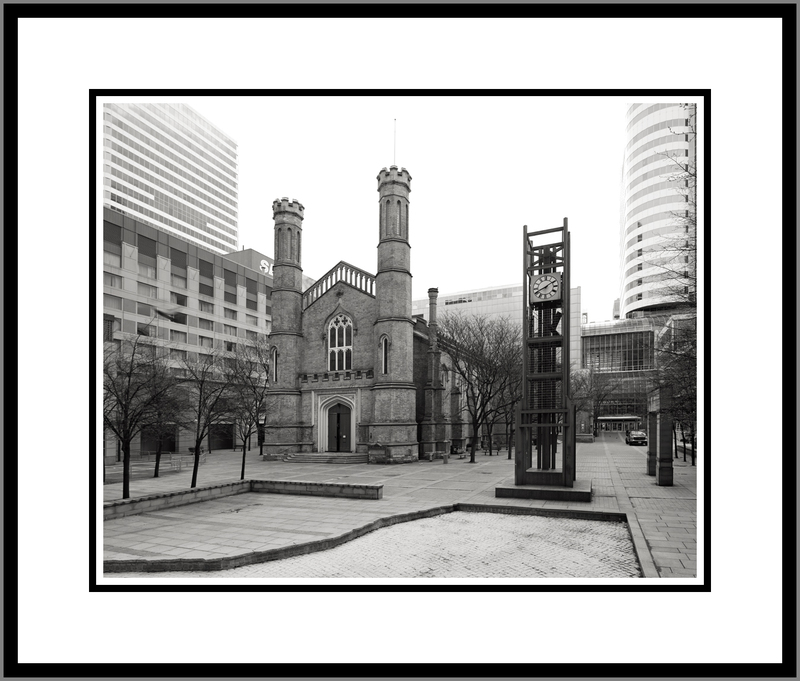 Here’s a new image of the Court House walkway in Toronto. 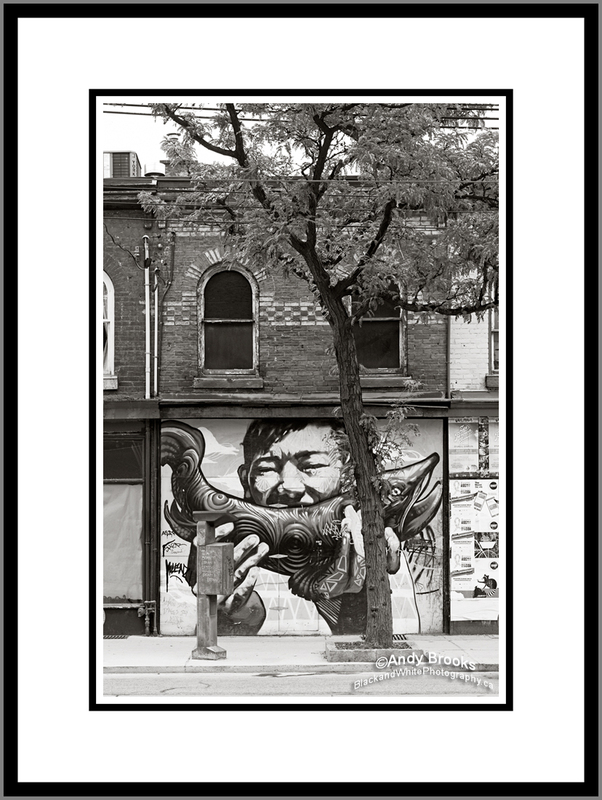 There are just a couple days left to see Harry Joy’s prints on display at the Market Gallery. The Exhibit ends May 9th. The lettering has been taken off this building (east side) 227 Front Street East. 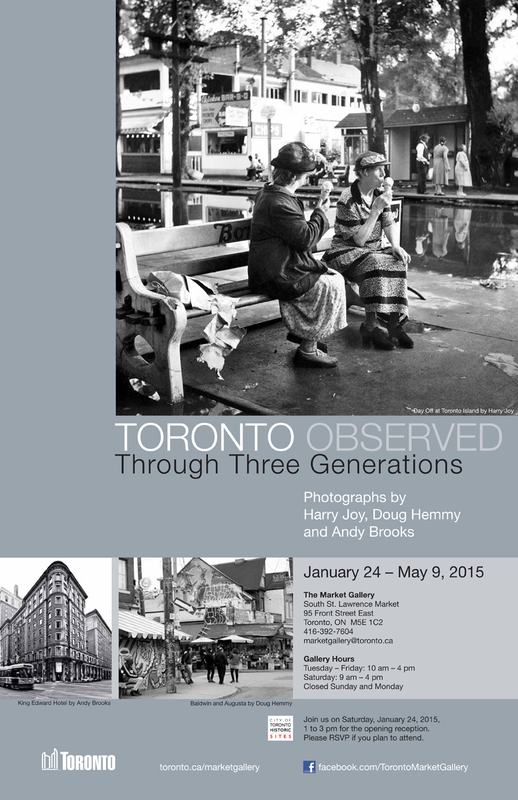 The exhibition begins on January 24 and will be on display until May 9, 2015. “This exhibition is an engaging way for residents and visitors to see the city through different times and creative perspectives,” said Mayor John Tory. The reception will be Saturday January 24th 1pm to 3pm. Click on the image below to view the full image. Additional links and details can be found on the Exhibits page on my main site. 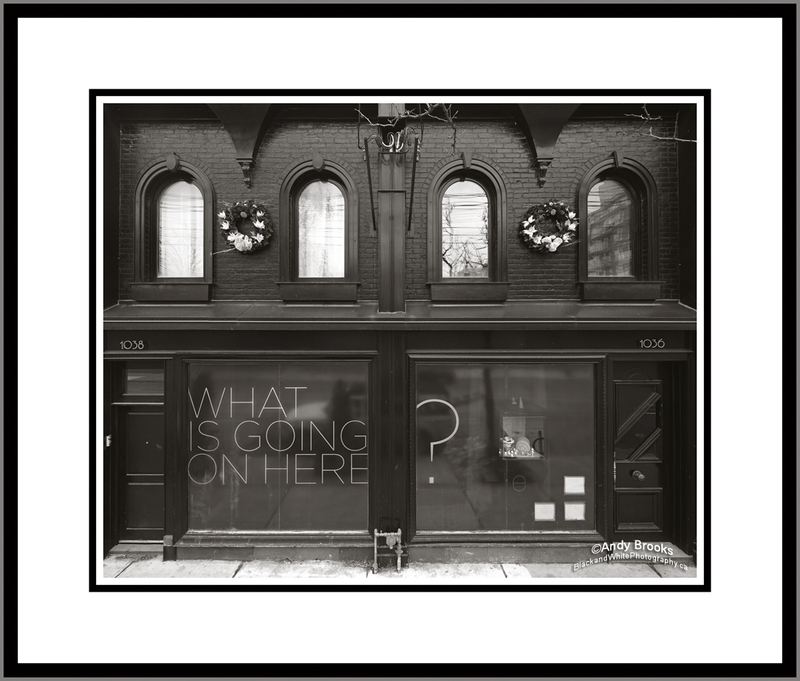 Some interesting signage on a Queen West storefront related to the changes happening in the area. 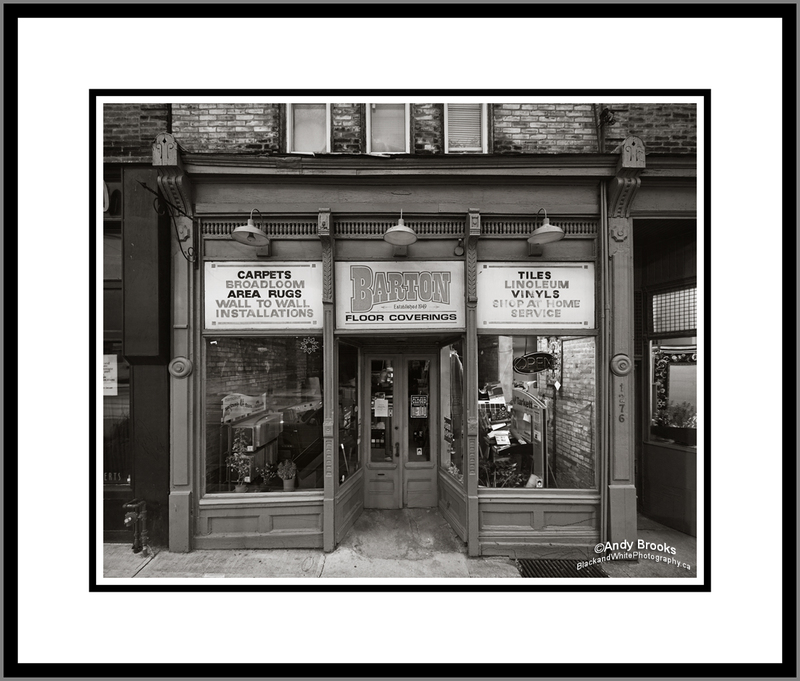 Below is a photograph of Barton’s storefront. 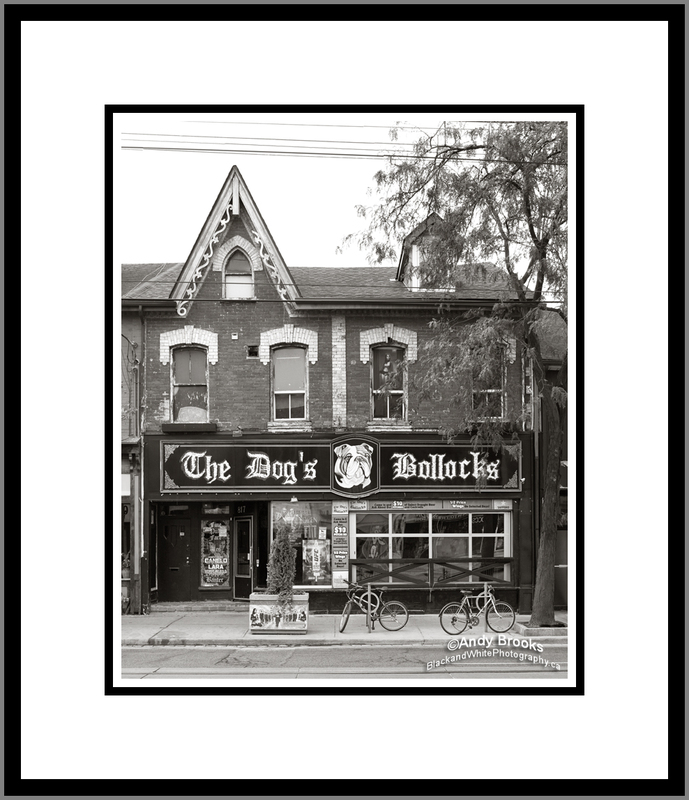 Not all landmarks in Toronto are buildings or monuments. 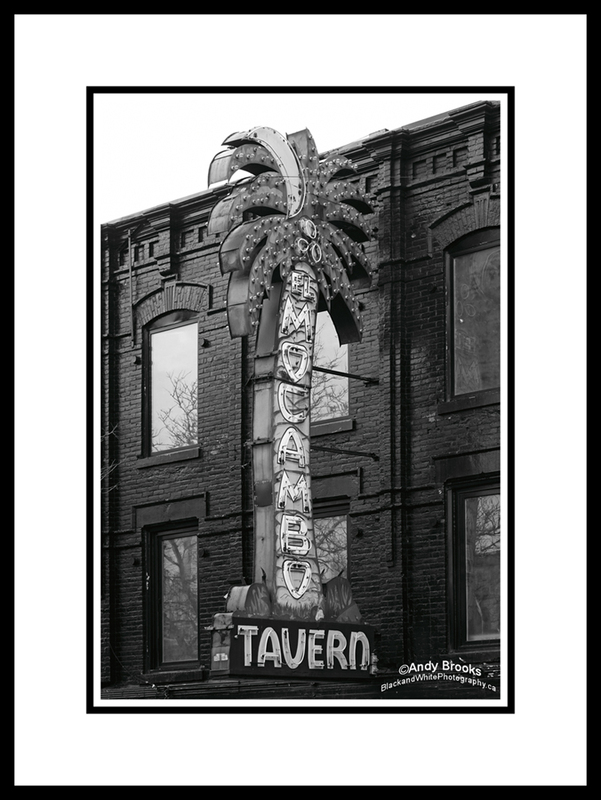 The El Mocambo sign is indeed a landmark and the bar itself is rich with music history. 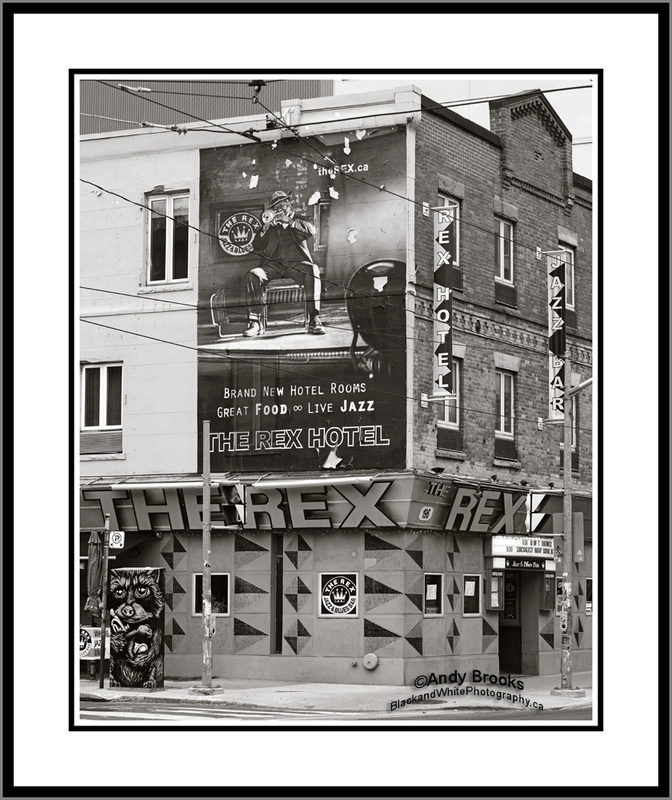 Big bands ranging from the Rolling Stones to U2 have played there over the years so the El Mocambo sign represents many memories for those who frequented the El Mocambo. 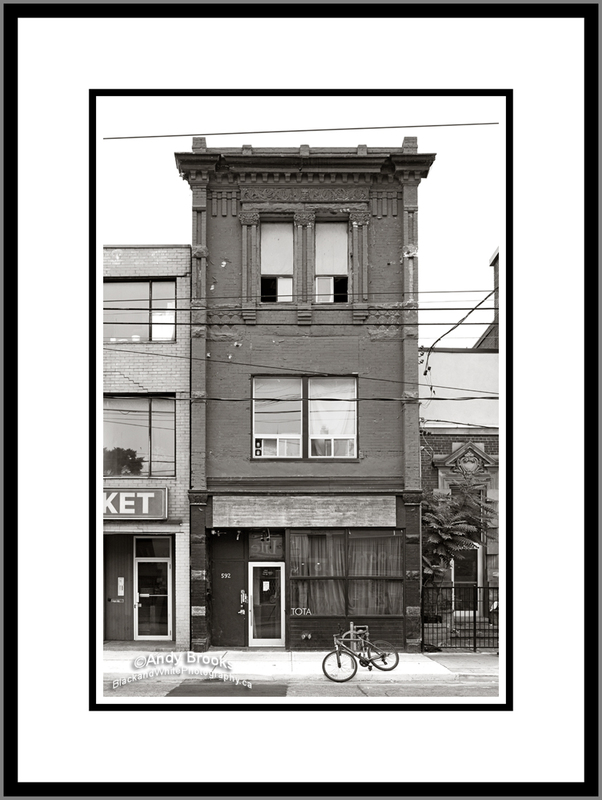 I personally have memories of the El Mocambo and it’s steep staircase at the back of the building. As I have mentioned in previous posts, “back in the day”, meaning the 80’s, I was working in the sound, and staging business. I remember loading in and out of the upstairs via the back staircase which was never something I looked forward to. 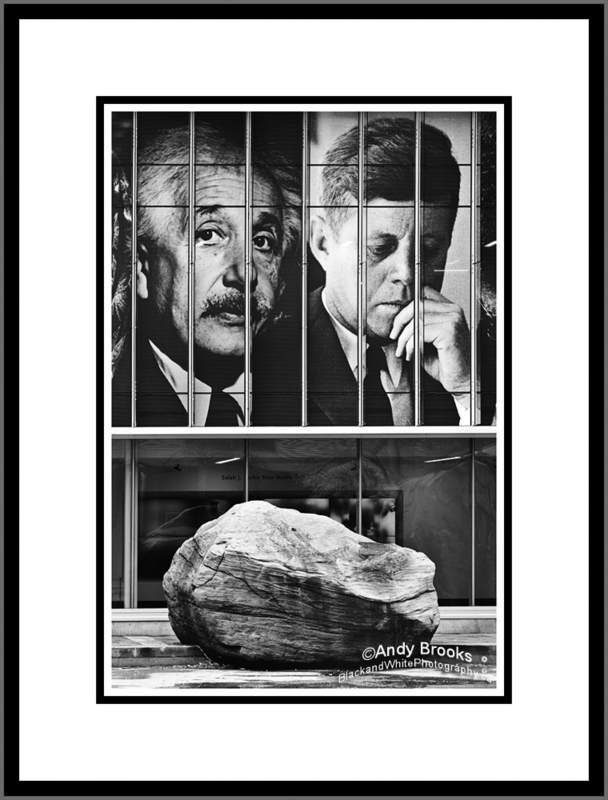 The print above is 10×15 inch and is available in larger sizes if desired. 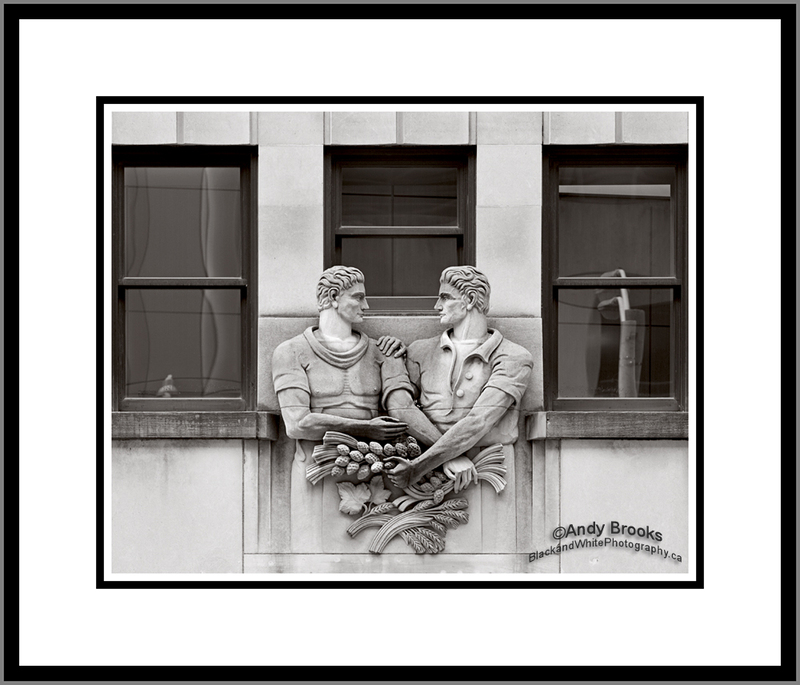 This image is a reverse view of the print “Brothers Discount” which I posted a couple weeks ago. If you compare the two you’ll see the complete view of this intersection. 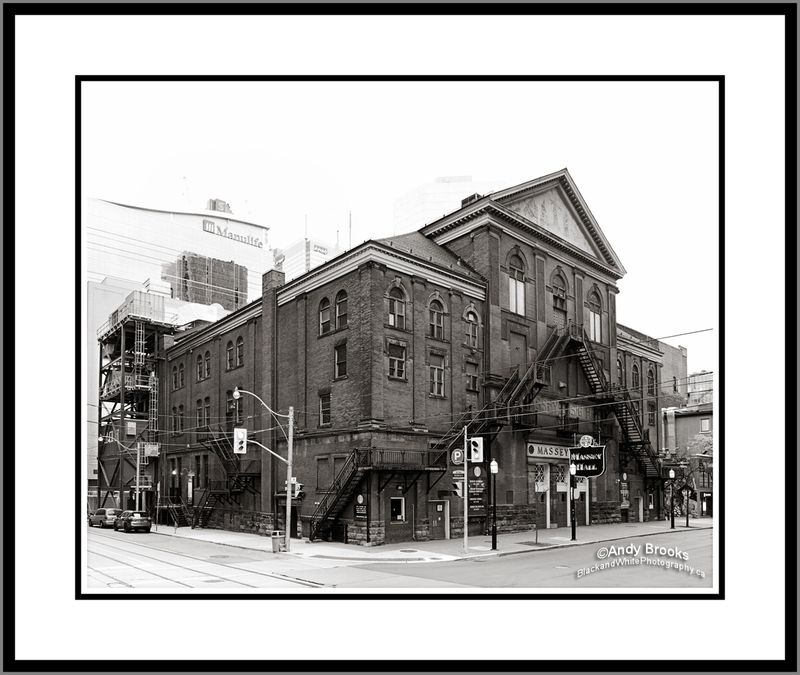 Below are a few more from my Queen Street collection. I’ve always liked Barton’s storefront. It, like so many on Queen west has that old character that new stores just don’t have. 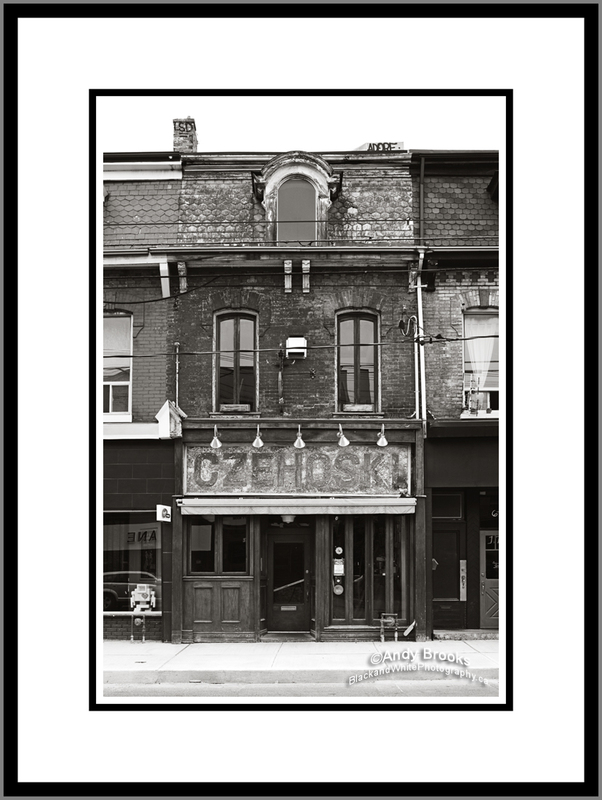 I’ve been photographing buildings and storefronts on Queen Street west here in Toronto. 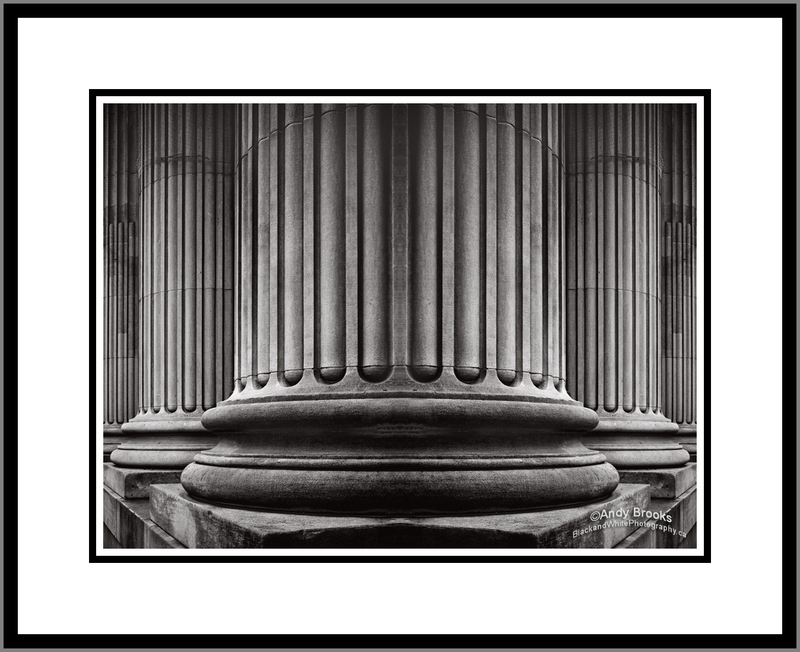 The above photo is 30×10 inches and can be made much larger if a customer requests a larger print. The image shows the older store which is part of the community and the temporary pop up store in the background. There’s a lot of this going on all over the city. 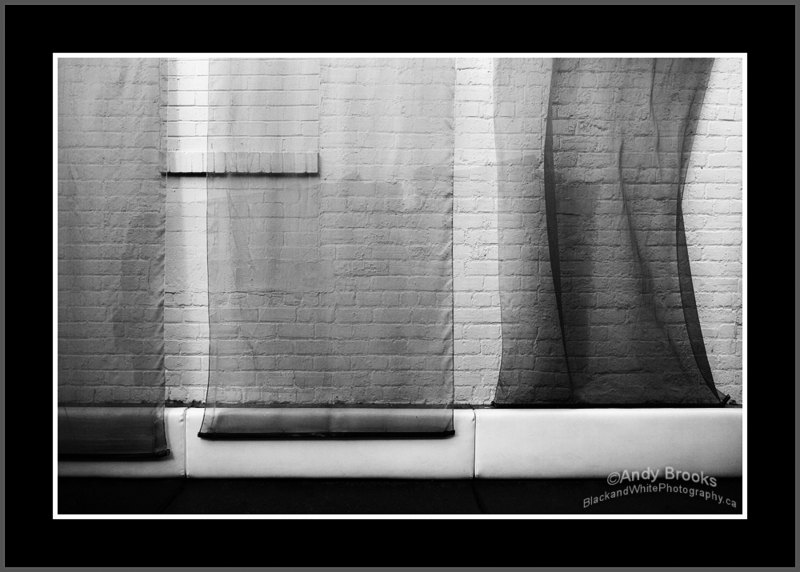 I’m using the techniques I’ve developed to get fine detail in these images which combined with a wide tonal range will produce a fine print. It is my understanding that these storefronts will be wrapped in scaffolding in the next couple days and renovated. 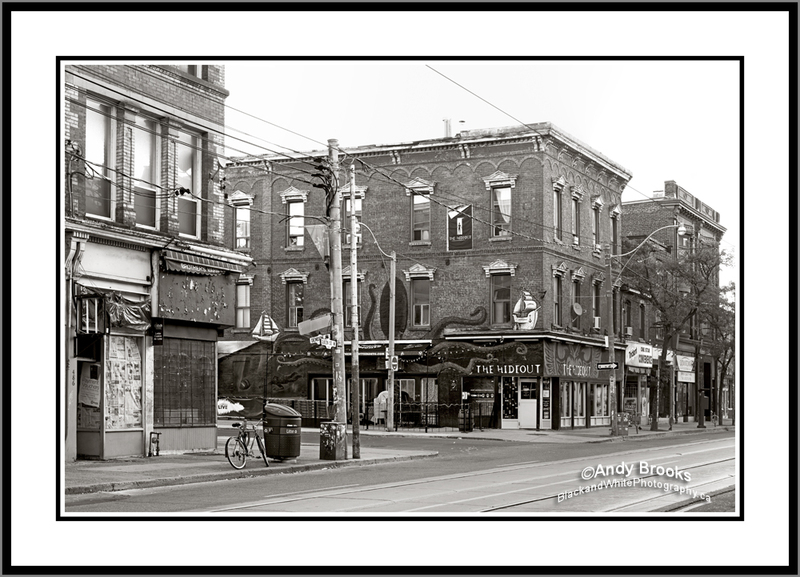 Located at Keele and Dundas it will be interesting to see if they keep their character after the reno. Sometimes being a rebel just means being a bit different. When this scene unfolded in front of me “The Rebel” was the first thing that ran through my mind. It also reminded me of something I wrote years ago. “As the tall grass bends to the will of the wind, an open road stretches beyond the horizon. 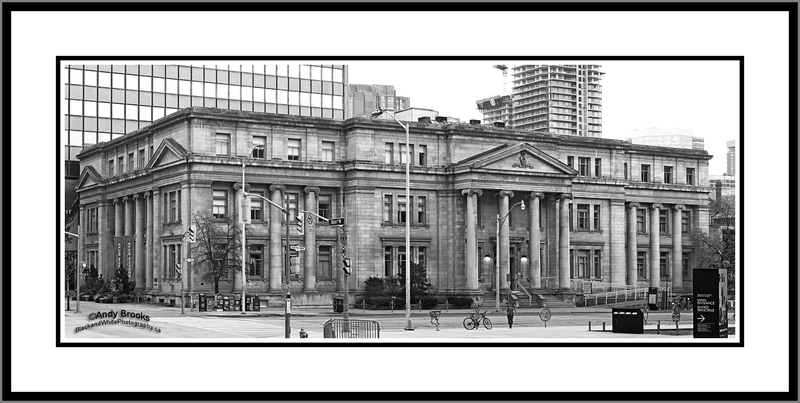 The Lillian Massey building at Bloor and Queens Park is a classic Toronto landmark. Back in 2011 I photographed the Queens Park entrance and decided it was time to shoot the entire building. 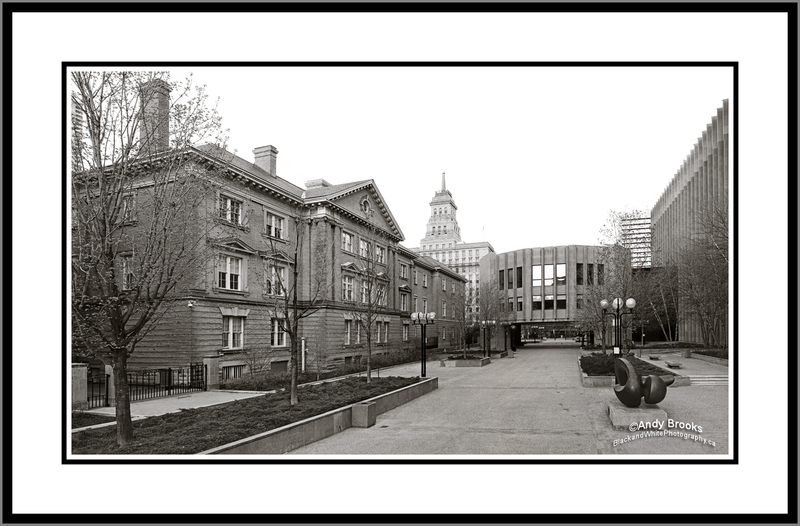 The previous image is called Department Of Household Science and the one above is simply called The Lillian Massey Building. 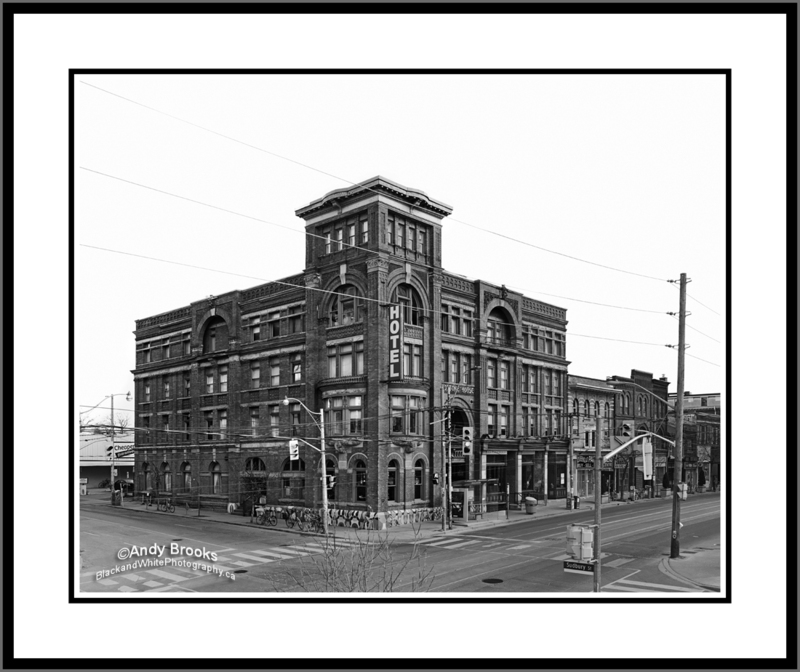 As part of the work I’m doing on Queen street The Gladstone Hotel is a landmark on Queen West. 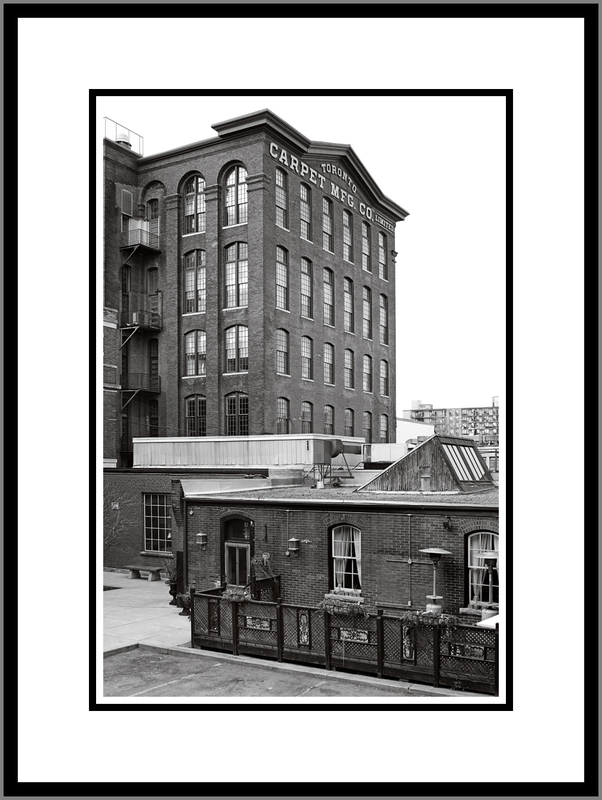 This print is available as a 20×16 and larger sizes are available. When I first saw this sign on the side of a Queen Street building I thought of the lyrics in the Billy Joel song “Just The Way You Are”. You remember. Don’t go changing…to try to please me. 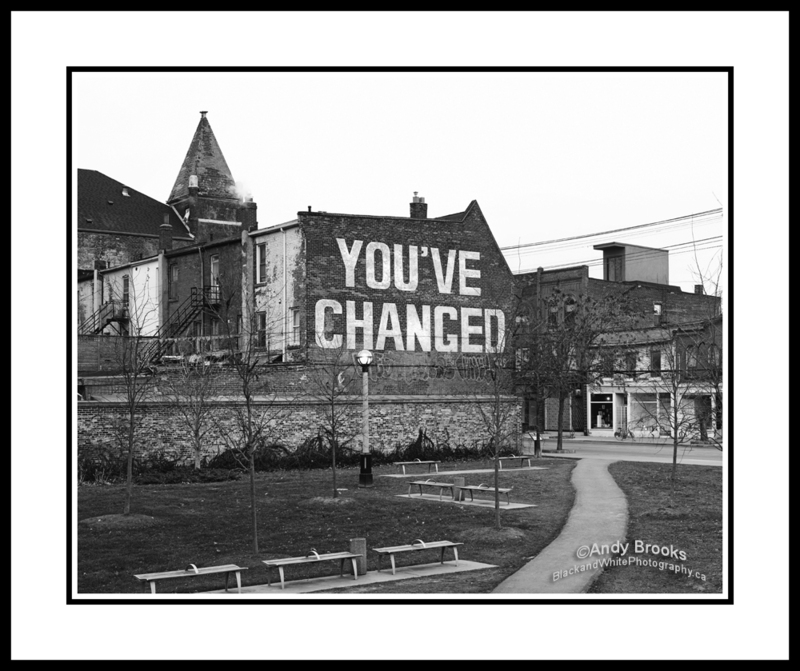 Anyway the changes that are happening on Queen West are a bit concerning to me. 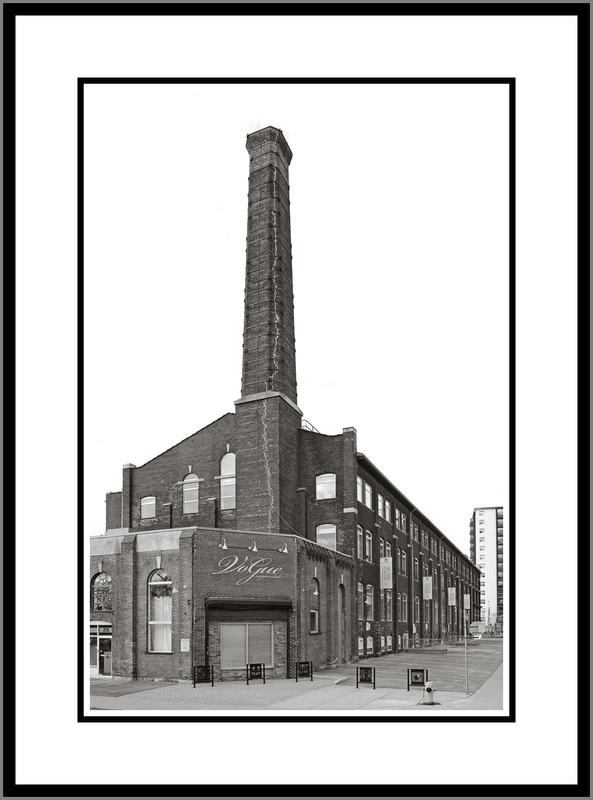 This has always been the heart of the city with its eclectic mix of people and businesses. 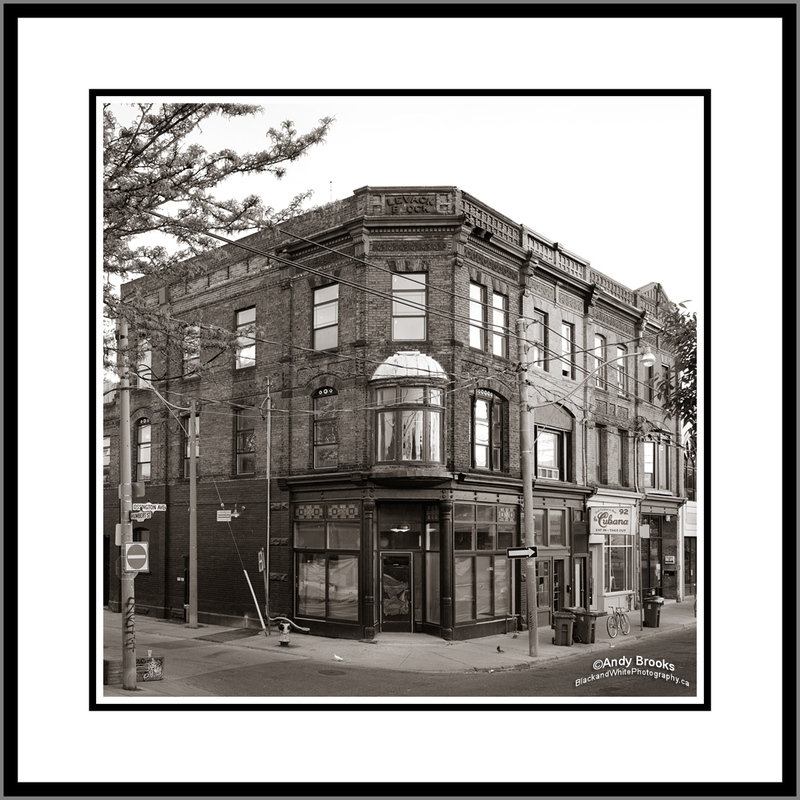 The old store fronts and wide variety of merchants all lend to the true character of Queen West and I hope it keeps that charm in the years to come. 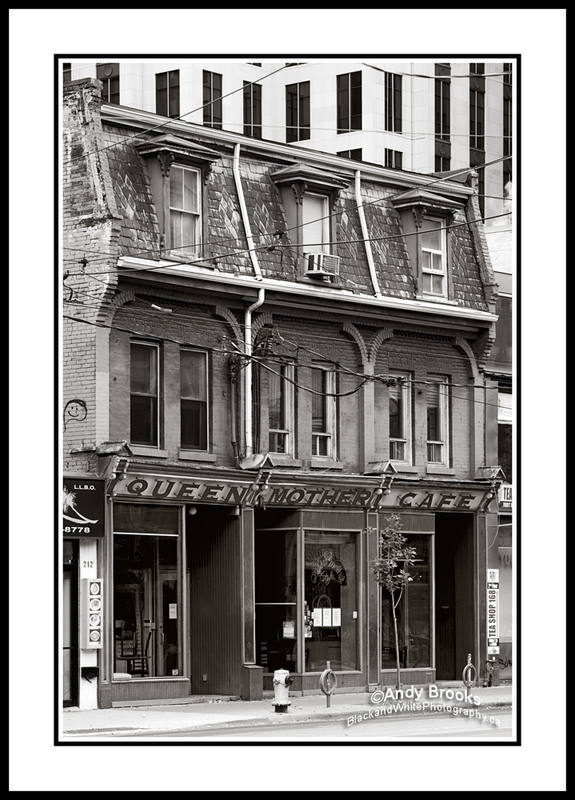 I know I said I was going to shoot store fronts during the summer but that didn’t really happen but I do plan on photographing Queen West during the winter months. Hopefully the weather will cooperate as I don’t want any seasonal indicators in my work. 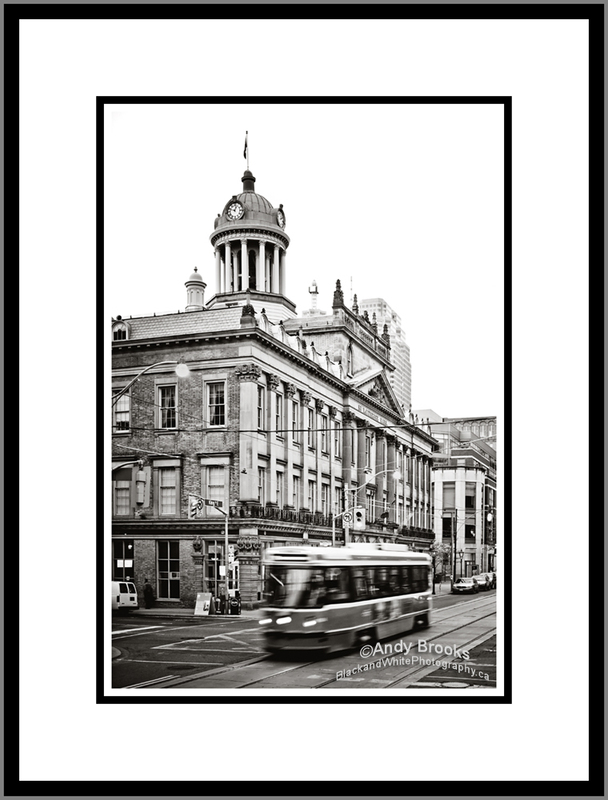 More Toronto architecture pictures on my main website. 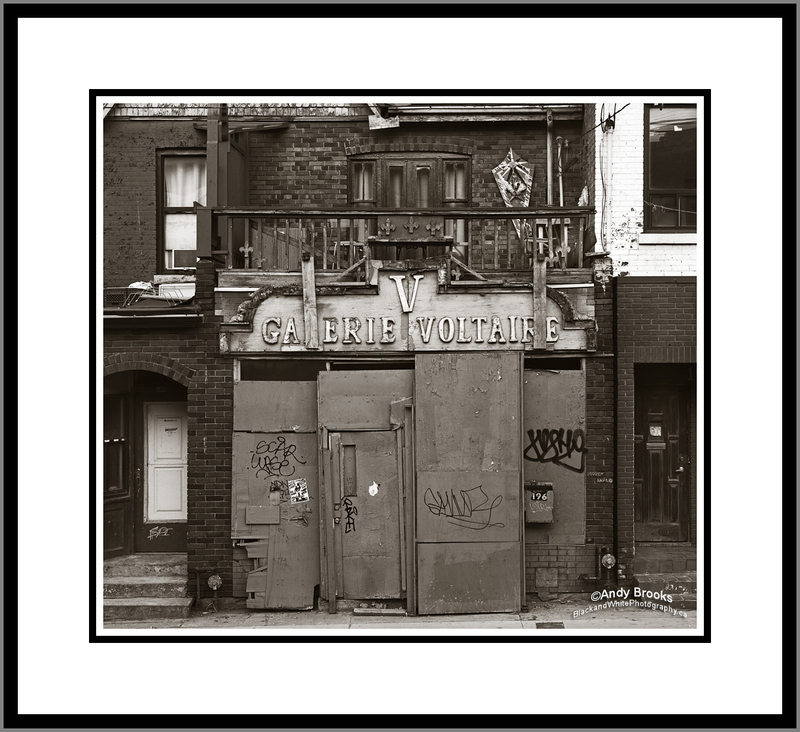 Store fronts can tell a story and this one certainly does. 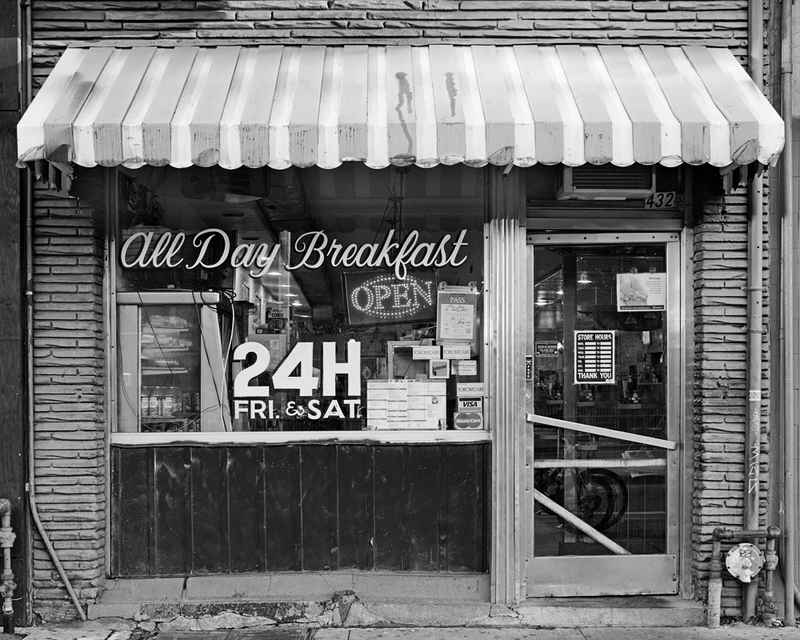 In the details of this image you can see the old school traits of a restaurant like this. The Tetley Tea box on the counter the Kellogg’s Corn Flakes box and the old style salt and pepper shakers on the table. All this and a store front that probably hasn’t changed in decades. I would think that this scene will disappear in the next few years to make room for some new development. It may not though seeing how important sugar is to our everyday lives (it’s in everything). 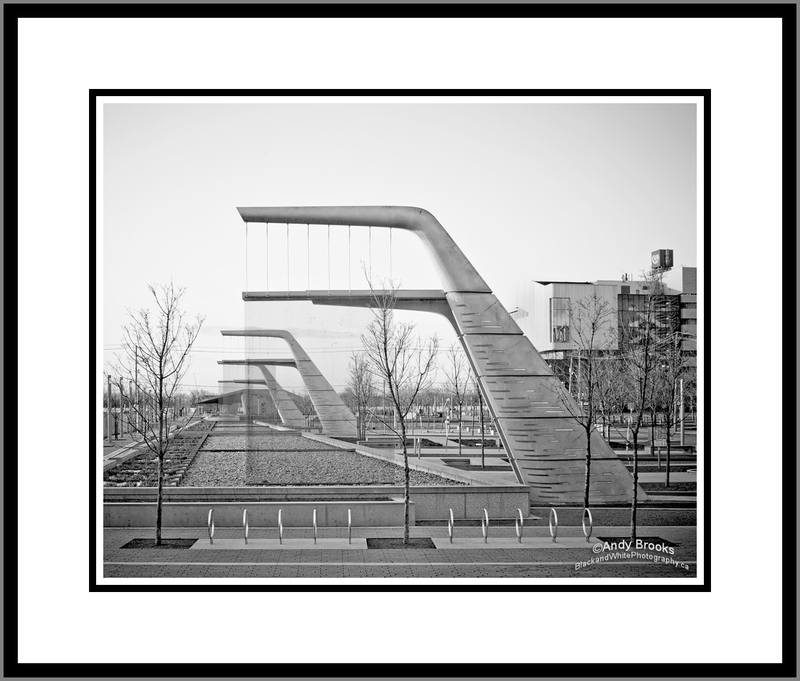 This print was photographed from Sugar Beach and is 59 inches by 16 inches in it’s natural state. Below is a crop of the image showing the detail of the crane that unloads the large ships that come into Toronto loaded with sugar. 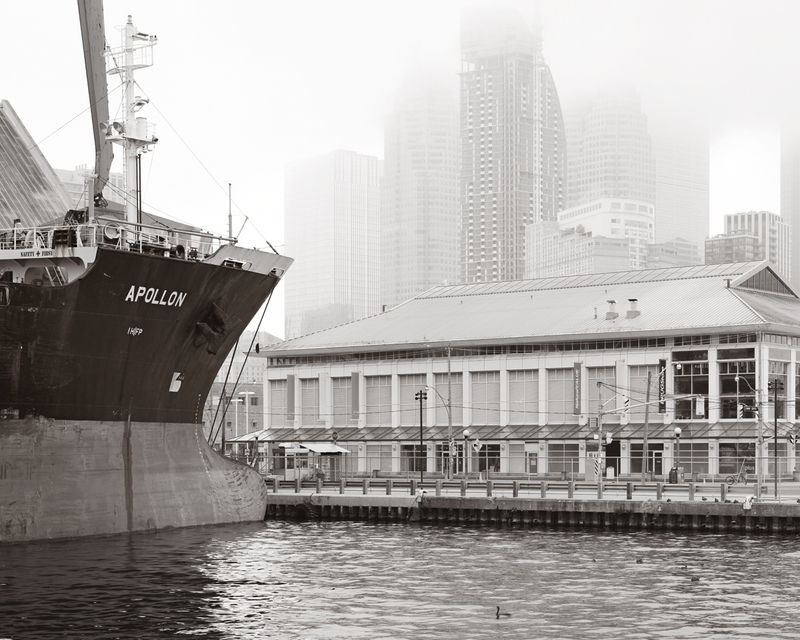 Another angle from a previous shoot when there was a ship in dock. Visit my main website to see more images of Toronto. Toronto is known for it’s towering condos, many of which can be see while driving along the Gardiner Expressway. 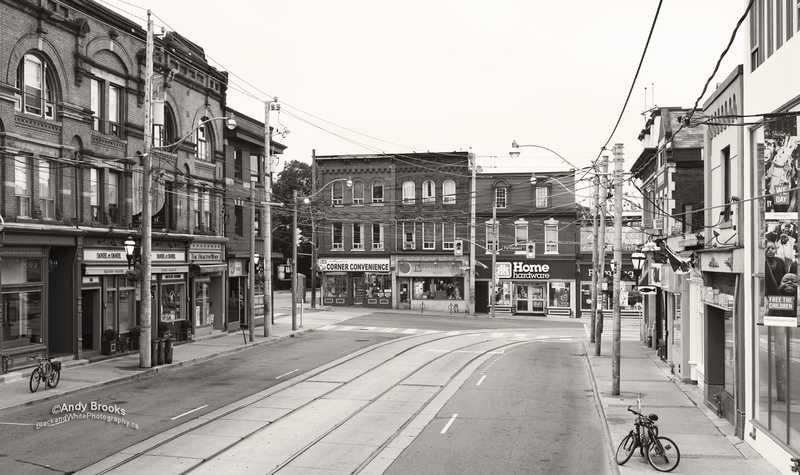 The reality is that Toronto is a collection of neighbourhoods and those neighbourhoods are what make the city great. Small pockets of cultural diversity allow one to visit the world within this great city. 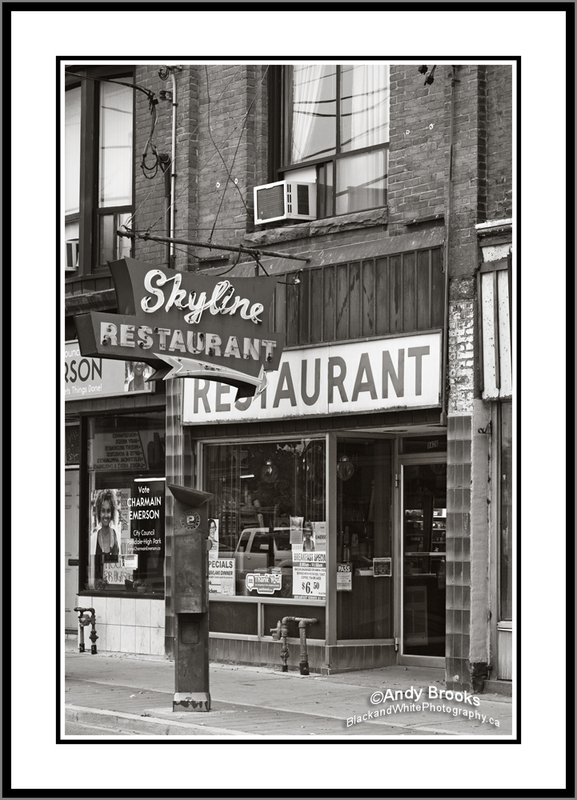 Intersections within the city can hold a special meaning to those who frequent it’s restaurants and stores. One of the many projects I am slowly working on is a body of work showing the intersections within the city. The above image is of Carlton and Parliament. Ryerson Unniversity has a wonderful collection of campus areas and architecture. Once the leaves are down I will be shooting at Ryerson here in Toronto. 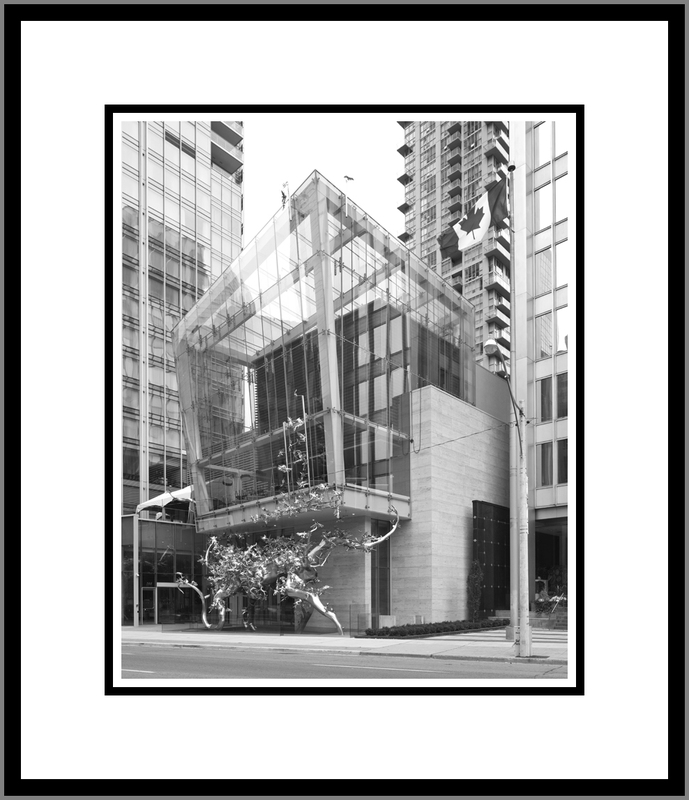 More Toronto architecture pictures are on my main site.